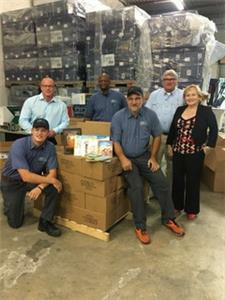 COS Business Products and Interiors donated approximately 1,200 books to the Hamilton County Read 20 program. Over the summer months, the company dispatched delivery trucks and vans to various businesses throughout the County with collection boxes. Businesses encouraged workers to bring copies of the books they enjoyed reading as children or gently loved books to be given out to Hamilton County children. This is the latest project for the company as a means to give back to the community that has been their home for the last 76 years, officials said. Company CEO Skip Ireland said, “One of the greatest gifts a child can be given is the gift of being able to read.